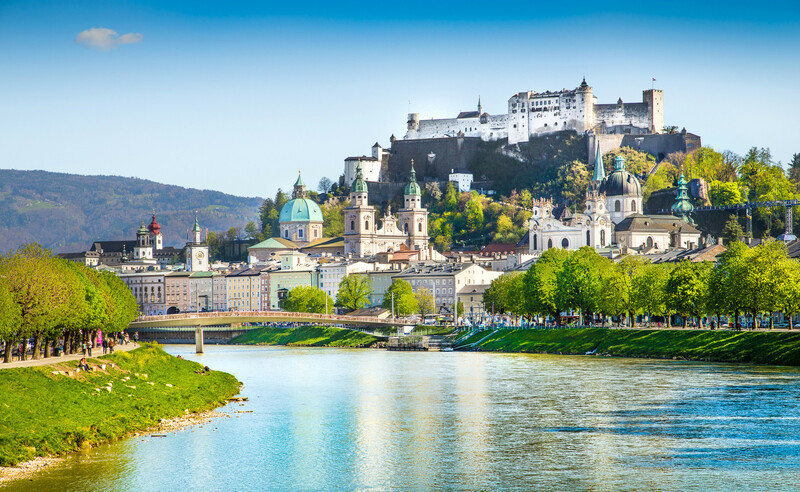 Salzburg, the fourth-largest city in Austria, is located just on the border between Germany and Austria, in the Salzkammergut district. The city is especially known for its beautiful “Altstadt”, Old Town, with the world famous baroque architecture which was listed as a UNESCO World Heritage Site in 1997. 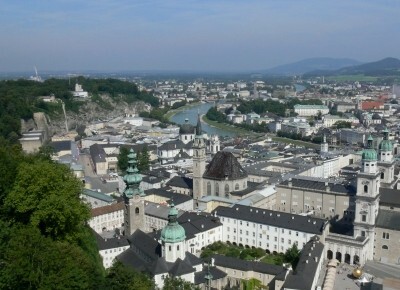 It was also the birthplace of composer Wolfgang Amadeus Mozart and the setting for the film “The Sound of Music” (1965). Between the most prominent sights in Salzburg one can count the Salzburg Cathedral which is seen as the most impressive early Baroque edifice north of the Alps, the Hohensalzburg Fortress, built in 1077, the largest, fully-preserved fortress in central Europe, and the fantastic Baroque park gardens of Schloss Mirabell. Furthermore, Hellbrunn Palace in the Southern part of the city is always worth a visit with its idyllic garden including the famous watergames. The Getreidegasse is probably Salzburg's most famous shopping lane, with high, narrow houses, enticing shops and wrought iron guild signs. Getreidegasse No. 9 is the address of Mozart’s birthplace which has been a museum since 1880. 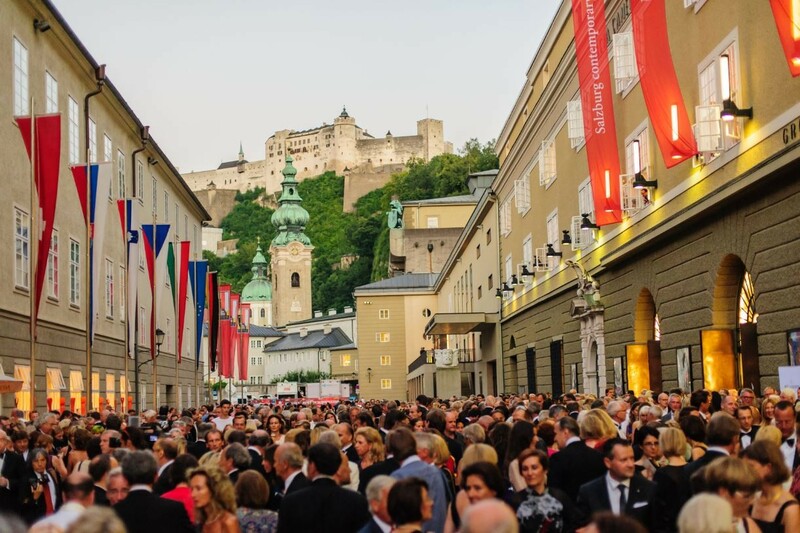 It is possible to enjoy the music of Salzburg’s most famous son at a Mozart Dinner where the atmosphere is completed by the musicians dressed in contemporary costumes. Film enthusiasts can relive “The Sound of Music” at the show with the same name which includes all the favorite tunes from the movie or retrace the classic’s locations on the “Sound of Music” tour. 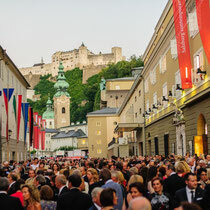 On the culinary sector, Salzburg mostly offers traditional and hearty Austrian kitchen. More modernly orientated restaurants and bars can be found on the left and right sides of the river Salzach and on the Mönchsberg. 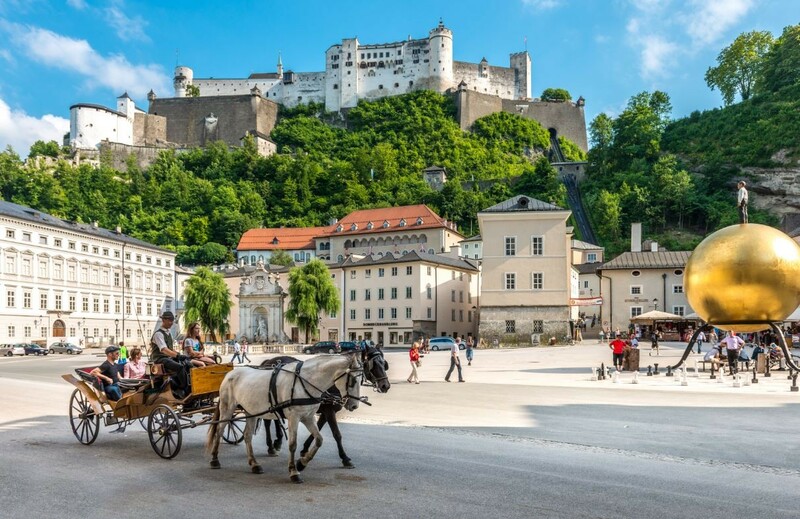 Beside the famous chocolate confection Mozartkugel, the city is also known for the Salzburger Nockerln, a fluffy and warm dessert made of eggs, sugar and flour. Right outside the gates of Salzburg, the beautiful Salzkammergut begins, with numerous possibilities for excursions, f.ex. to the hunting castle Fuschl or the idyllic Wolfgangsee. 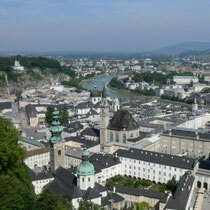 The surroundings of Salzburg offer uncountable winter sport resorts, which are of internationally high repute. Most of them are connected under the name Ski Amadé with a total of 860 km of slopes. This includes well-known resorts like Bad Gastein, Flachau and Schladming.